Just how do Americans see Cuba? 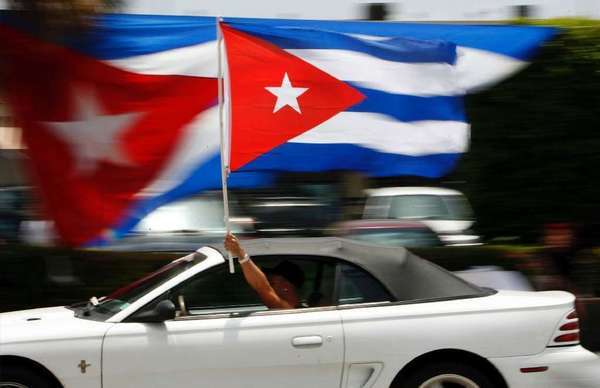 The Washington-based think tank Atlantic Council released a poll last month that has been touted by many as marking an unprecedented shift in support for a change in U.S. policy toward Cuba. Media outlets, including the L.A. Times, jumped on the bandwagon, citing the poll as evidence that Americans are now eager for engagement. But a closer look shows that many of the most consequential results of the poll are based on push-polling tactics. Push polling is the craft of designing survey questions to shape and influence the results. In this case, several questions in the Atlantic Council Cuba poll appear to “push” respondents toward assuming a position against current U.S. policy. Nothing about U.S. relations with Cuba is simple. The many facets of our estrangement span such a spectrum of interests and time that few have a clear understanding of the intricate web of current policy. For example, despite the absence of official diplomatic relations, Cuba remains a major component of U.S. foreign policy. Unbeknown to many, official high-level meetings continue to take place between our two countries. Just last month, U.S. and Cuban officials met in Havana for semiannual migration talks. In addition, despite a supposed embargo, Cuba has purchased billions of dollars in products from the United States since 2001. And there are numerous ways Americans can get to Cuba. Just ask Beyonce and Jay-Z. Granted, not everything is great. A few weeks ago, United Nations experts reportedly concluded that a shipment of Cuban weapons to North Korea last summer violated U.N. sanctions. Since the 2001 arrest of Ana Belen Montes (a former Defense Intelligence Agency analyst who spied for Cuba for 16 years), there have been multiple cases of additional Cuban espionage in the U.S. As recently as 2009, Walter and Gwendolyn Myers (a retired State Department employee and his wife) were arrested for spying for Cuba for three decades. Cuba has also shot down aircraft and killed American citizens in the past; it is reportedly training armed groups in Venezuela; and it has been holding U.S. citizen Alan Gross prisoner for more than four years because he was providing Internet communications equipment to Cuba’s Jewish community. [. . .] One of the takeaways promoted by the Atlantic Council was that “more than 6 in 10 people want all economic restrictions lifted.” But respondents were never actually asked about the total lifting of economic restrictions, or about current U.S. law, which does provide for the conditional removal of sanctions. To be fair, the highly complex nature of U.S. policy toward Cuba makes any poll seeking to gauge public perception difficult to pull off. However, rather than acknowledging the complexity of U.S.-Cuba relations, this poll centered on questions that made it seem the choice was an all-or-nothing proposition. This is simply not the case. The February poll is one survey, one snapshot of public opinion, and one that appears to have had an agenda. By contrast, millions of Americans have voted for and elected congressional representatives who have shaped and debated U.S. policy toward Cuba for more than five decades. Hundreds of thousands of Floridians continue to vote election after election for representatives who espouse a nuanced yet sanctions-focused policy. The only way we will know when Americans really want a change in policy toward Cuba is once they force that change through their representatives in Congress.